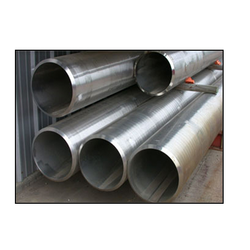 Providing you the best range of stainless steel 347, stainless steel 304h, stainless steel 15-5 ph, ss 17 - 4 ph pipe, stainless steel ferralium 255 and ss 17 - 5 ph pipe with effective & timely delivery. 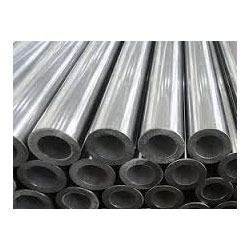 Stainless steel type 347 is part of a family of stainless steel alloys (301, 302Type 347 stainless steel has slightly improved corrosion resistance over type 321 stainless steel in strongly oxidizing environments., 303, 304, 316, 347). 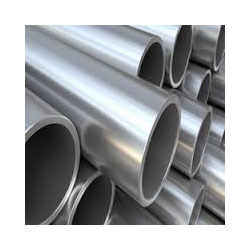 Type 347 is a columbium/tantalum stabilized austenitic chromium-nickel stainless steel which was developed to provide an 18-8 type alloy with improved intergranular-corrosion resistance. 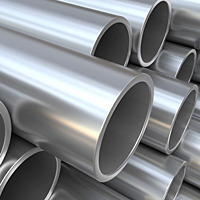 Type 347 has a slightly improved corrosion resistance over other types of stainless steel in strongly oxidizing environments as a result of the addition of columbium and tantalum. Columbium-tantalum carbides precipitate within the grains instead of forming at the grain boundaries. Type 347 should be considered for applications requiring intermittent heating between 800ºF (427ºC) and 1650ºF (899ºC), or for welding under conditions which prevent a post-weld anneal. Stainless Steel 15-5 PH*15-5 PH is a stainless steel offering high strength and hardness with excellent corrosion resistance. 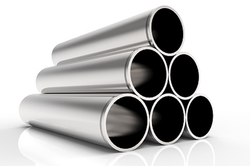 Stainless Steel 15-5 PH can be age-hardened by a low temperature treatment. Stainless Steel 15-5 PH has been used for applications for requiring high strength and toughness, such as valve parts, fitting, and fasteners, gears, engine parts, paper mill equipment, and aircraft components. 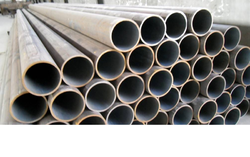 Available forms are seamless pipe, welded pipe, seamless tube, welded tube, bar, wire, sheet, plate, forgings, pipe fittings and flanges. Ferralium 255 SD50 sets a new bench mark for Super Duplex as the first to state 570N/mm2 as the minimum 0.2% Proof Stress. It offers excellent corrosion resistance in a wide variety of corrosive chemicals including sulphuric, phosphoric and nitric acids. In Seawater and other chloride containing environments Ferralium 255 SD50 also provides outstanding resistance to pitting and crevice corrosion, with Critical Pitting Temperature exceeding 50°C. Excellent ductility and impact strength at both ambient and sub-zero temperatures combine with a high resistance to abrasion, erosion and cavitation erosion. Listed in NACE MR 01 75 for sour service and having gained ASME Approval for Pressure Vessel applications, Ferralium 255-SD50 is tested to the highest degree using tests designed to guarantee that the trade-marked product possesses high integrity, a correct phase balance and the absence of sigma and other deleterious phases. Ferralium 255 SD50 is particularly applicable for large forgings, as the formation of sigma phase is much less likely than it is for other Super Duplexes.